Riverside Heating & Air Conditioning LLC is proud to serve the Greenville community! In northeastern South Carolina is a beautiful city known as Greenville. Greenville is positioned in Greenville County and serves as the seat of government therein. According to a United States Census Bureau report, the City of Greenville became populated by approximately 68,219 people in 2017. Greenville is estimated to be the largest city in Greenville County. Residents of Greenville enjoy life in a beautiful South Carolina city. Greenville, which became incorporated as a village the early 1830s, features many attractions like the Greenville Zoo, Swamp Rabbit Trail, and Falls Park on the Reedy. Greenville is also home to a charming downtown area that features locally owned businesses that provide residents and visitors unique shopping and dining opportunities. Also, Greenville is home to beautiful neighborhoods, parks, good schools and universities, churches, and more. In Greenville, South Carolina, individuals enjoy an excellent quality of life. It is necessary for residents of Greenville to have access to cooling and heating systems installed inside their homes. Greenville is in a region of the United States that experiences very warm summer seasons and cool winter seasons. Central air conditioning units and heating pumps provide sufficient cooling and heating power to homes in Greenville. During June, July, and August the average daytime temperature highs range from the upper-80s to low-90s. Temperatures may rise above 100 degrees Fahrenheit when heat waves pass through Greenville.  Central air conditioning units that are installed and regularly inspected by HVAC technicians keep residents cool and comfortable inside their homes. In addition to cooling units, residents of Greenville should have access to heating systems in their places of living. During the winter seasons, the average daytime temperature highs range from the low to mid-50s. At night, temperatures range from the low to mid-30s. Also, precipitation is common in Greenville. Heating pumps keep residents warm and comfortable inside their homes during the winter seasons. Well maintained heating pumps protect residents and their homes from potential damages caused by harsh winter weather conditions in Greenville.